In the event of an emergency, everyone’s at risk of hunger. 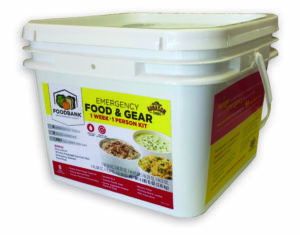 Our newest emergency preparedness initiative, our Disaster Boxes, are designed to provide nutrition for one person for one week. For each box purchased, we will provide a second box, free of charge, to a family that cannot buy one. This entry was posted on September 11, 2018 by Hailey Phelan.